Spoon bracelet made in a camping theme. This bracelet was made from two antique spoons in Queen Mary pattern from the 1950s . 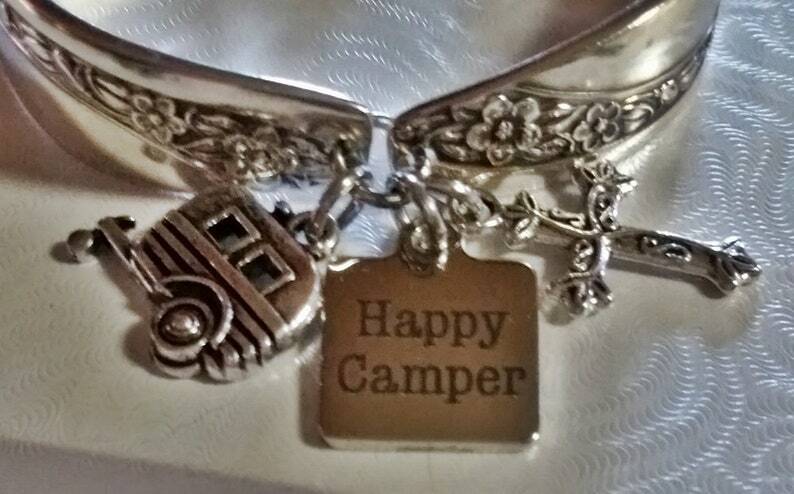 The bracelet has been adorned with charms of a vintage pod camper, happy camper charm and a cross. 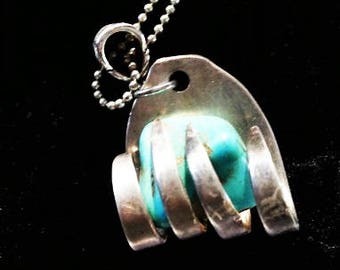 A strong rare earth magnet allows for ease to put on, but it us very strong to prevent it from coming off.